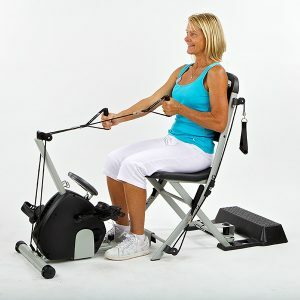 Using the Bike attachment for the Resistance Chair system. 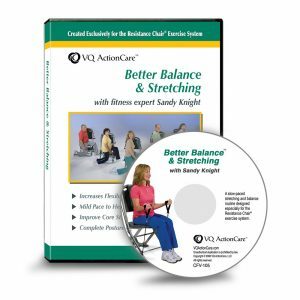 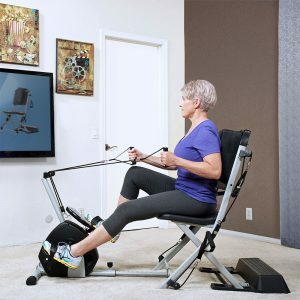 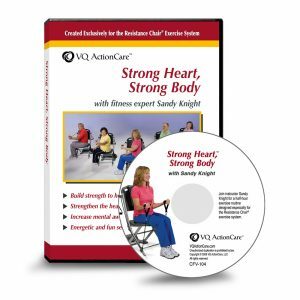 Hosted by Sandy Knight, this video includes continuous, low impact activity using the large muscle groups and is designed to help you develop increased metabolism and cardiovascular endurance. 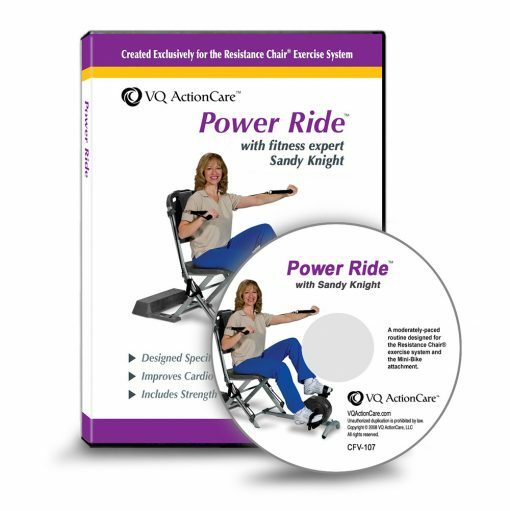 A moderate-level, half-hour routine that blends some upper body strength exercises with endurance exercises, and increases the stamina you need for the activities of daily living. DVD format.